Bristol Type 156 Beaufighter, ali samo Beau je bil britanski dvomotorni težki lovec/bombnik iz 2. svetovne vojne. Razvit je bil na podlagi torpednega bombnika Beaufort. "Beaufighter" je okrajšava za "Beaufort" in "fighter" (lovec). Beaufighter se je uporabljal na skoraj vseh frontah 2. svetovne vojne. Skupaj so zgradili skoraj 6000 letal. V Avstraliji so zgradili verzijo znano kot DAP Beaufighter. S hitrostjo 540 km/h na višini 5000 metrov je bil sorazmerno počasen za lovca. Leta 1942 se je pojavil hitrejši de Havilland Mosquito, ki je prevzel vlogo nočnega lovca. Beaufighter je bil kljub temu uspešen pri napadih na kopenske cilje in ladje. ↑ "70-letnica bombardiranj Žužemberka" (PDF). Suhokranjske poti (Občina Žužemberk) 26: 12/29. Pridobljeno dne 15.8.2016. Ashworth, Chris. RAF Coastal Command: 1936–1969. London: Patrick Stephens Ltd., 1992. ISBN 1-85260-345-3. Bingham, Victor. Bristol Beaufighter. Shrewsbury, UK: Airlife Publishing, Ltd., 1994. ISBN 1-85310-122-2. Bowyer, Chaz. Beaufighter. London: William Kimber, 1987. ISBN 0-7183-0647-3. Bowyer, Chaz. Beaufighter at War. London: Ian Allan Ltd., 1994. ISBN 0-7110-0704-7. Bowyer, Michael J. F. The Battle of Britain: The Fight for Survival in 1940. Manchester, UK: Crécy Publishing, 2010. ISBN 978-0-85979-147-2. Bridgeman, Leonard, ed. "The Bristol 156 Beaufighter." Jane's Fighting Aircraft of World War II. London: Studio, 1946. ISBN 1-85170-493-0. Franks, Richard A. 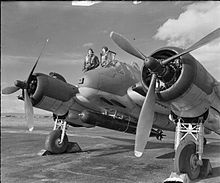 The Bristol Beaufighter, a Comprehensive Guide for the Modeller. Bedford, UK: SAM Publications, 2002. ISBN 0-9533465-5-2. Gilman J.D. and J. Clive. KG 200 (novel). London: Pan Books Ltd., 1978. ISBN 978-1-902109-33-6. Hall, Alan W. Bristol Beaufighter (Warpaint No. 1). Dunstable, UK: Hall Park Books, 1995. Howard. "Bristol Beaufighter: The Inside Story". Scale Aircraft Modelling, Vol. 11, No. 10, July 1989. Innes, Davis J. Beaufighters over Burma – 27 Sqn RAF 1942–45. Poole, Dorset, UK: Blandford Press, 1985. ISBN 0-7137-1599-5. March, Daniel J. (1998). British Warplanes of World War II. London: Aerospace Publishing. ISBN 1-874023-92-1. 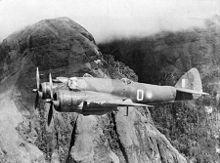 Mason, Francis K. Archive: Bristol Beaufighter. Oxford, UK: Container Publications. Moyes, Philip J.R. The Bristol Beaufighter I & II (Aircraft in Profile Number 137). Leatherhead, Surrey, UK: Profile Publications Ltd., 1966. Parry, Simon W. Beaufighter Squadrons in Focus. Walton on Thames, Surrey, Uk: Red Kite, 2001. ISBN 0-9538061-2-X. Scutts, Jerry. Bristol Beaufighter (Crowood Aviation Series). Ramsbury, Marlborough, Wiltshire, UK: The Crowood Press Ltd., 2004. ISBN 1-86126-666-9. Scutts, Jerry. Bristol Beaufighter in Action (Aircraft number 153). Carrollton, Texas: Squadron/Signal Publications, 1995. ISBN 0-89747-333-7. Spencer, Dennis A. Looking Backwards Over Burma: Wartime Recollections of a RAF Beaufighter Navigator. Bognor Regis, West Sussex, UK: Woodfield Publishing Ltd., 2009. ISBN 1-84683-073-7. Thetford,Owen. Aircraft of the Royal Air Force since 1918. Putnam & Company, 1976. ISBN 978-0-37010-056-2. Thomas, Andrew. Beaufighter Aces of World War 2. Botley, UK: Osprey Publishing, 2005. ISBN 1-84176-846-4. Wilson, Stewart. Beaufort, Beaufighter and Mosquito in Australian Service. Weston, ACT, Australia: Aerospace Publications, 1990. ISBN 0-9587978-4-6. White, Graham (2006). The Long Road to the Sky: Night Fighter Over Germany. Casemate Publishers. ISBN 978-1-84415-471-5. Čas zadnje spremembe strani: 15:35, 24. september 2018.